Objective: This site aims to provide an authoritative guide to the biodiversity and taxonomy of coccolithophores - a beautiful group of microscopic planktonic algae with an abundant fossil record and a key role in the global carbon cycle. It is both a working tool for specialists and an accessible reference source for anyone else looking for information on any coccolithophores. Live & Cenozoic: 1500 pages illustrated with 13,500 images describing the taxonomy of living coccolithophores and their Cenozoic ancestors. The pages also have occurrence frequency plots derived from the Neptune database. Mesozoic: a further 1300 pages and 9700 images describing Mesozoic coccolithophores. Farinacci: a catalog of original descriptions of 4300 species, cross-linked to the main taxon pages. Non-cocco: pages dealing with non-calcifying haptophytes, calcareous dinoflagellates, parmales and other groups of interest to coccolithophore specialists (under development - 500 pages, 800 images). Tools: bibliography (ca 1800 entries), glossary, time-control (take a look), advanced search, zonation charts and a range-chart plotting tool. Organisation: On higher taxon pages there is an automatically-generated table, this displays for each daughter taxon (a) representative images, (b) the diagnosis, and (c) a list of grand-daughter taxa. This is a novel approach to arranging taxonomic websites but we consider it preferable to any alternatives we have seen. Geological search: A special feature of the site is that the taxa from a selected geological time period can be highlighted - via the Time Control page (Tools Menu). For example if the time period 10 to 20 million years ago is selected then taxa from this time period appear at the top of lists and are coloured blue while taxa outside this time period appear at the bottom of lists and are coloured olive green. The timescale underpinning the system is GTS2012, courtesy of Prof. James Ogg. All stratigraphic data on the site is stored in primary stratigraphic units (e.g. Albian, or Zone NN12) and so correlations to the timescale can be updated by changing a single lookup table. The Nannotax website has been primarily created by three authors. We have been collaborating on coccolithophore studies for >20 years and have a shared outlook including that taxonomy is fundamental to good research and so that communicating taxonomy is an essential foundation for our science. Between us we have comprehensive knowledge of nannoplankton taxonomy and have made significant contributions to developing and synthesising it. Dr. Jeremy R. Young is a Research Associate at UCL (formerly at the Natural History Museum, London) with over 30 years of experience working on nannofossils and extant coccolithophores, with particular emphasis on integrating biological and palaeontological research. He has prime expertise in extant and Neogene coccolithophore taxonomy. 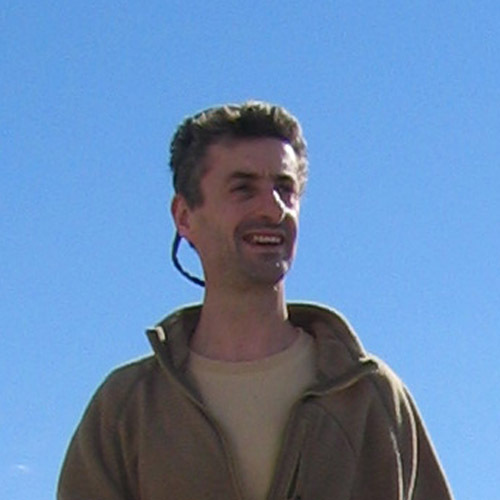 He is responsible for the Nannotax software and overall editing, is prime author of the Neogene and extant taxa, and has contributed to the other taxa. 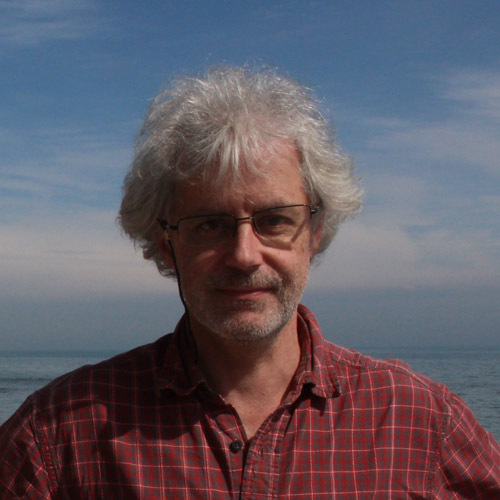 Prof. Paul R. Bown is Professor of Micropalaeontology at UCL whose research focuses on the palaeobiology and geological applications of coccolithophores and calcareous nannofossils. He has prime expertise in Jurassic, Early Cretaceous and Paleogene coccolithophore taxonomy and is the main author of the Nannotax pages on these taxa. Dr. Jaqueline A. Lees is a Research Associate at UCL and freelance biostratigrapher. 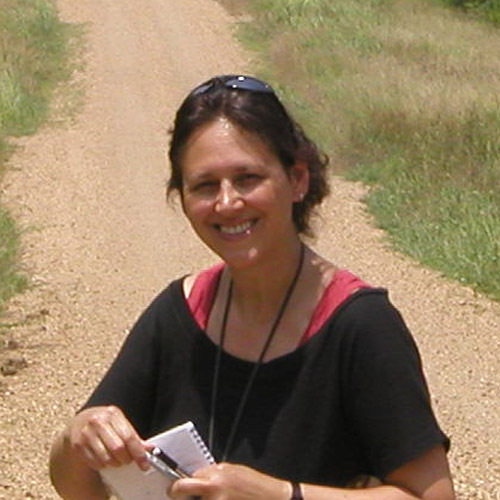 She has outstanding expertise in Late Cretaceous nannofossil taxonomy and biostratigraphy and has lead responsibility for the Nannotax pages dealing with these taxa. The Nannotax project was started in 2007 in response to demand for online documentation of nannofossil taxonomy. It initially used the content management system Drupal, as implemented within EDIT (European Distributed Institute of Taxonomy) and ViBRANT (Virtual Biodiversity Research and Access Network for Taxonomy) as a Taxonomy Information System - Scratchpads. A large body of content was incorporated in this system including data on >2000 taxa and several thousand images. It was very widely used by nannofossil workers and attracted over 500 registered users. In 2011 the project was awarded a substantial grant from the Knowledge Exchange programme of the UK Natural Environment Research Council. This expansion project coincided with a major redevelopment of the Scratchpads system. The new system proved incompatible with our revised objectives and so a new, simpler, software base was written for the project, by Jeremy Young. The revised system - Nannotax3 was launched in September 2013 at the International Nannoplankton Association conference in Washington DC. It has been continuously updated since then. In 2015 we were awarded an Innovations Grant by the UK Natural Environment Research Council to develop a parallel website dealing with planktonic foraminifera - pforams@mikrotax using the nannotax system and content from the earlier NSF Chronos project. This project also involves Prof Bridget Wade at UCL and Brian Huber at the Smithsonian. This project has allowed major development of the functionality of the system, icluding advances search, range chart plotting and improvement of the web-interfaces for editors. The two sites are now co-hosted on the mikrotax domain. Usage: Over the six months June - November 2014 the site had 4652 users each visiting on average for 5 sessions / slightly over an hour (Google Analytics data), with a total of 270,066 pageviews. This is a high level of use for a specialist website. Update: Over the six months June - November 2015 the site had 9318 users each visiting on average for 3.8 sessions / 47 minutes (Google Analytics data), with a total of 380,676 pageviews. So usage has again increased significantly over the past year, with double the number of users and only a slight decrease in the average intensity of use. Update: Over the six months June - November 2017 the site had 7302 users each visiting on average for 4.4 sessions / just over an hour (Google Analytics data), with a total of 351,548 pageviews. So usage has stabilised, but a remarkably high level. This supports our anecdotal evidence that the site is now used routinely by most people studying or using nannoplankton. The project was initially based on making online versions of well-established syntheses - using Bown (1998) and Young et al. (2003) and we followed the taxonomy of these publications which in turn was based on a relatively conservative modification of pre-existing schemes. Indeed for the most part coccolithophore taxonomy has evolved collaboratively and with a high degree of consensus. We have also updated the taxonomy by incorporating data from subsequent publications. In many cases this is straightforward, for instance adding new species which are clearly additions to our knowledge (e.g. Syracosphaera pemmadiscus Chang 2013). In other cases proposed changes are more subjective- e.g. whether to follow a proposed subdivision of a genus into two. For older proposals we can follow general practice - e.g. Varol (1992) proposed subdividing the genus Chiasmolithus into two genera and while this has obvious logic it has not been widely followed. In other cases this is not available as a guide and so a subjective assessment is necessary. In general we will adopt a conservative approach, but attempt to document changes that have been proposed even if we do not follow them. If you disagree with our taxonomy please feel free to use the comments facility to explain why. Commenting is possible on all taxon pages - this is intended for discussion of taxa. We would also be very interested in any comments, suggestions, or corrections, from any users on the site itself- please use the forum page for this - or just drop us an email. We have been helped by many people, societies and funding bodies in setting up Nannotax. Here is some formal acknowledgement of this. Nonetheless, the content of the site is our responsibility, these organisations have not vetted it and do not necessarily endorse all aspects of it. 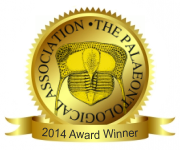 The Palaeontological Association made Nannotax the "Golden Trilobite" award winner for 2014. This recognises it as a high quality website that promotes the study of palaeontology. The UK Natural Environment Research Council awarded us a substantial Knowledge Transfer grant (2011-2013) which paid for much of the development of the site. NERC has also funded much of the research on which the site is built. The Gulf Coast Section of Society of Economic Paleontologists and Mineralogists provided a grant (2009) for development of the website. The Natural History Museum supported development of the original Nannotax website and hosted it as part of the EDIT project from 2007 to 2013. ViBRANT - Virtual Biodiversity Research and Access Network for Taxonomy is an EU funded project and sucessor to EDIT - European Distributed Institute of Taxonomy project (2006-2011). The original Nannotax site was based on scratchpad software developed in these projects and EDIT funded Jeremy Young's initial work on the site. The International Ocean Discovery Program and precursor ODP and DSDP projects have played a massve role in nannofossil research. The Nannotax project in part stems from taxonomic compilation work we undertook for the IODP JANUS database. IODP encouraged the Nannotax project and it is extensively used by nannofossil specialists on the IODP platforms. University College London has employed us in various capacities during creation of the site. Prof James Ogg (Purdue University) has encouraged development of this site and provided calibration data from TimeScaleCreator. Reciprocally TimeScaleCreator uses images from and links back to Nannotax. The Micropalaeontological Society assists with hosting of the Nannotax3 site and recommends Nannotax as a prime source of reliable online data.